21 Mar Are super-skinny townhomes headed to a neighborhood near you? Alan Cablik led the way from the one-car garage up some stairs and out onto a backyard large enough to walk a dog – so long as it’s only a couple steps – then back into the house and up a flight of stairs to the kitchen, living room and dining room. “I had a workman lose 10 pounds working on these,” he said, heading up toward the third floor where he pointed out the two bedrooms. It’s a townhome, with 1,500 square feet of living space. It’s 12 feet wide and four stories high, one of 16 built by Cablik Enterprises on Memorial Drive at the south end of Kirkwood. It’s listed at $260,000, half the price of the other Cablik townhomes nearby. But then, it’s also half the width. “We took our usual design and just cut it in half,” said Cablik, the company president. It’s not a gimmick, but a gamble on economics and demography. Maybe it’s the future of affordable home ownership in Atlanta. As the region recovered from the Great Recession, hiring surged and young professionals flowed into Atlanta to fill them. Unlike sprawl-ready baby boomers of a generation ago, millennials mostly wanted to live intown, where the available housing was mostly apartments and condos. Many who wanted to buy houses were out of luck as Atlanta land prices soared. Even quarter-acre properties now sell in parts of Midtown for more than $500,000 just for the land or a house that is going to be torn down. To make a profit, developers have put up ever-larger and more-expensive houses in areas where zoning requires single-family homes. Builders have increasingly used townhomes elsewhere to fit more units on less space. The share of homes in Atlanta that were townhomes rose in the past two years from 5 percent to 9 percent, said Skylar Olsen, senior economist for Zillow, the online housing database company. But with the price of land still rising faster than incomes, townhomes are no longer so affordable an alternative. 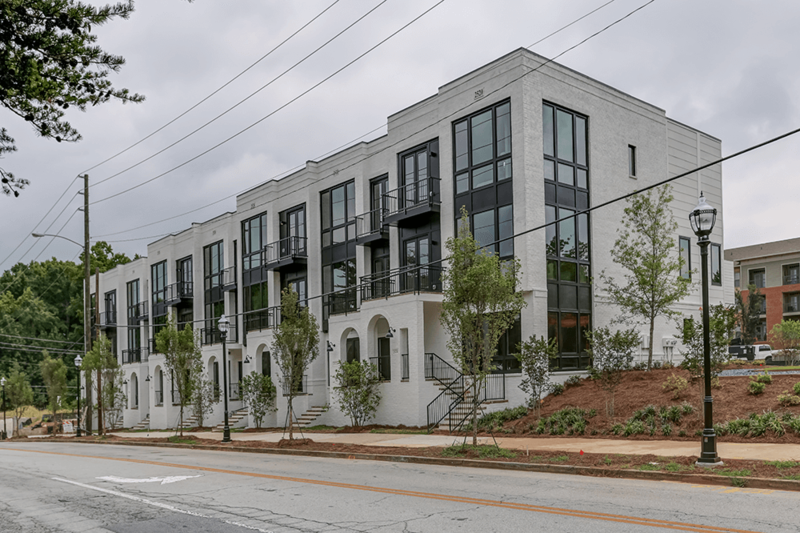 Atlanta currently has more than 200 townhomes listed for sale at $500,000 more, nearly three times as many as are listed below $300,000, according to Zillow.